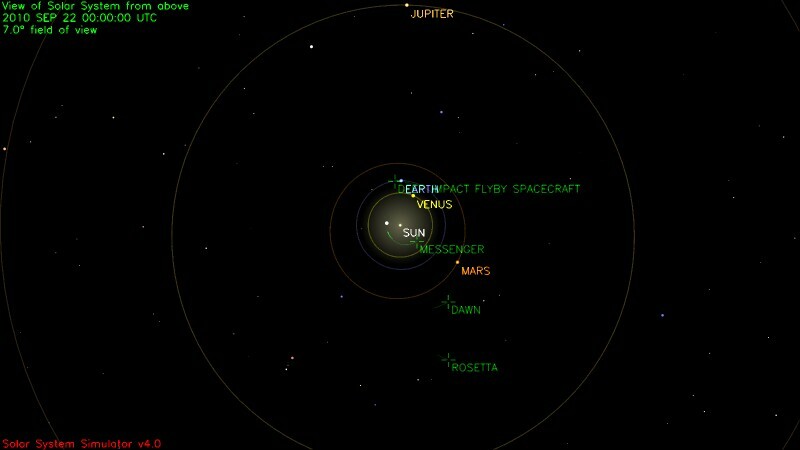 Today at around 13:00 UTC, the Jupiter system will be in opposition, when the planet and its attendant moons are on the opposite side of the Earth's sky from the Sun. This means that the planet will be visible as a brilliant star in the sky all night long, rise in the east at sunset and setting in the west at sunrise. It also means that Earth is at its closest approach to Jupiter this year, with Jupiter only 591,560,000 kilometers (367,578,000 miles) away. 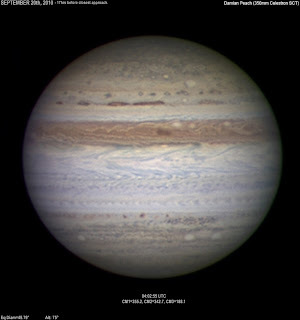 From the perspective of any amateur astronomers out there, this makes it a great time to take a look at Jupiter as it is nearly 50 seconds of arc in diameter in the night sky (though let's kill any "Jupiter hoax" in the bud, Jupiter's apparent diameter is still 1/36 of the apparent diameter of the Moon). 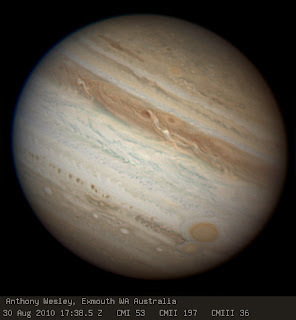 That is large enough to pick out Jupiter's cloud bands on even the most modest of telescopes. Despite its great distant, its large size also makes it bright enough to easily pick out in the sky. In addition to being the closest Earth will be to Jupiter all year, this is also the closest Earth has been to the giant planet since 1963. That is because Jupiter is close to perihelion, its closest point in its orbit to the Sun. As you can see in the graphic above, Jupiter's orbit is slightly eccentric, and right now it is closer to the Sun (and the Earth) than it would be on the opposite side of its orbit (near apohelion), which is slightly off the graphic that is centered on the Sun. This makes this opposition a particularly good one to check out. 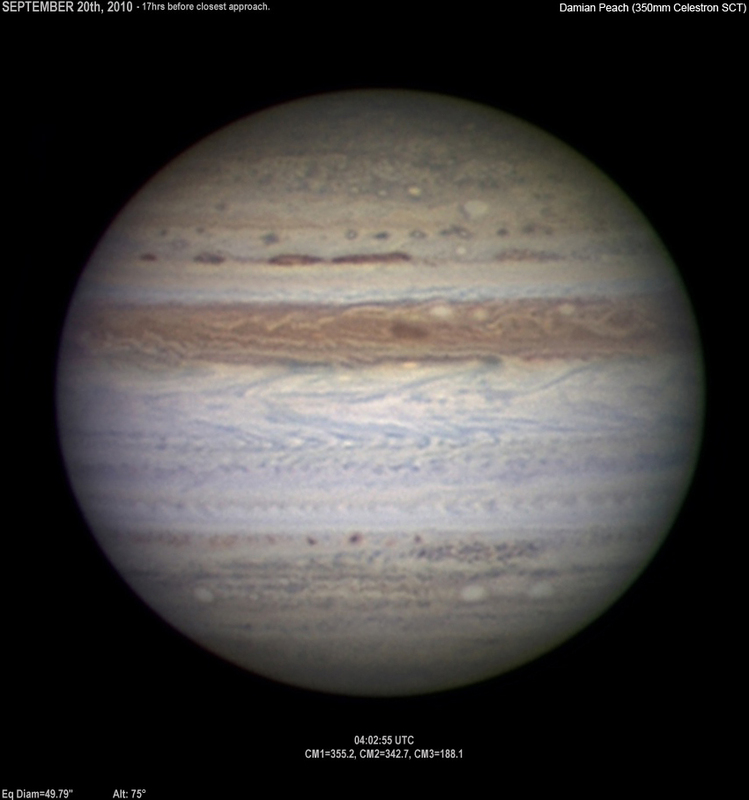 Don't forget though that even if you are unable to check out Jupiter tonight, it will still be an excellent target to view for the next couple of months, though it will become more and more a planet to view in the evening. 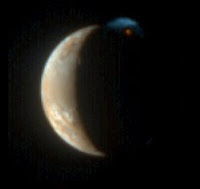 Many planetary astronomers have been taking advantage of the current opposition to take some great images of the giant planet and its moons, like the one at left. I love the detail you can see in this image, taken on September 20 by astronomer Damian Peach. The southern equatorial belt is still faded and there is no indication that it will reappear anytime soon. 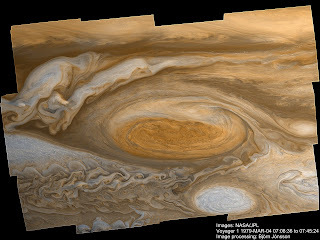 A great place to check for more fresh images of Jupiter is the ALPO-Japan site, where astronomers from around the world post their latest and greatest shots. Another great site to check out is Cloudy Nights forum, which includes some great discussion of how these images are taken. So please, definitely take this chance to look up at Jupiter! I apologize for my absence the last couple of weeks. When you write a blog in your spare time, it exists at the pleasure of my other obligations, my health, and other demands on my spare time. So when a busy period with work, a nasty cold, and Halo: Reach all hit in the same week, well, unfortunately this blog takes a bit of a back seat. This week I am feeling much better, work is a bit quieter (wait, there is a Titan flyby on Friday, lalalalalalalalala, I can't hear you), and I have grown wary of Halo: Reach, so I can come back to my weekly series on Io's volcanoes. 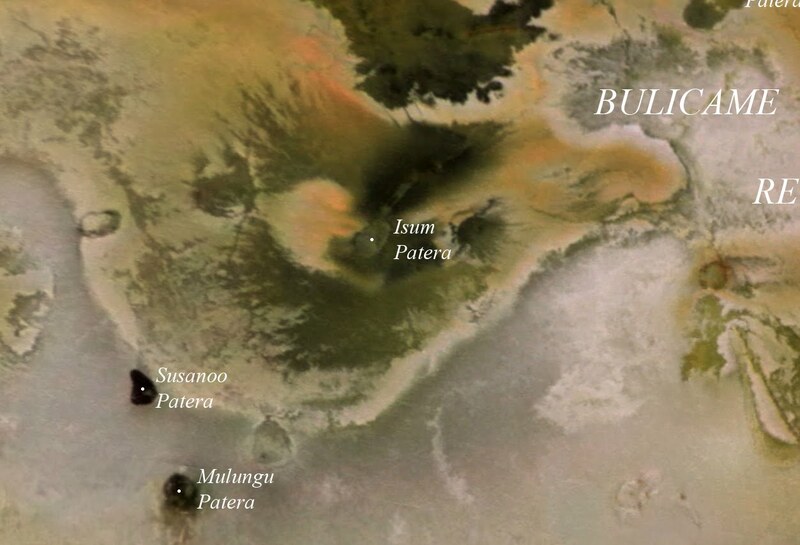 Today, we are discussing Isum Patera, one of Io's more active volcanic centers and the likely source of the largest lava flow field on Io, Lei-Kung Fluctus. First off, let's get the basics out of the way. 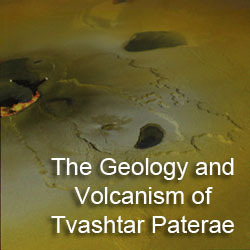 There really isn't a polite way to describe the shape of the volcanic depression that is Isum Patera; it looks like a sperm cell. 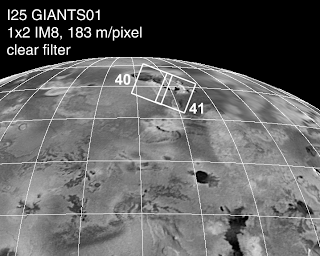 Isum is located at 29.82° North Latitude, 208.46° West Longitude. The head of the Isum "spermatozoa" is 62 kilometers (39 miles) in length and 43 kilometers (27 miles) in width. 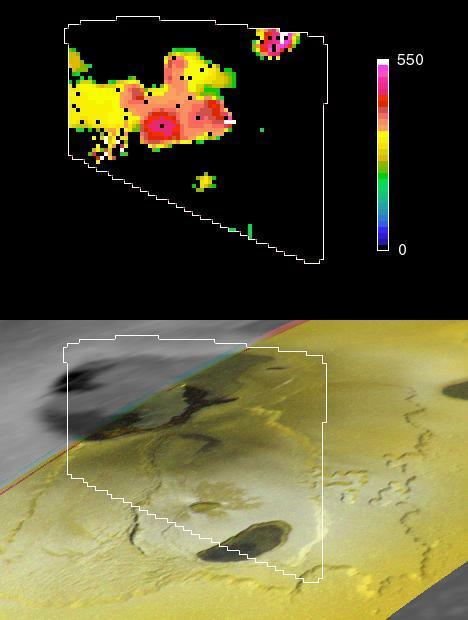 The southern end of the patera appears to have a greater depth than the rest of the volcano, which can often be indicative of multiple collapses (if formed like terrestrial calderas) or sills embedded in different layers, however the low resolution of our best images of the region (1.3 kilometers or 0.8 miles per pixel), poor phase coverage, and the complex albedo patterns in the area precludes a clear analysis of the topography in this region. A small mountain may lie along the eastern margin of Isum Patera, though this is difficult to confirm from available imagery. 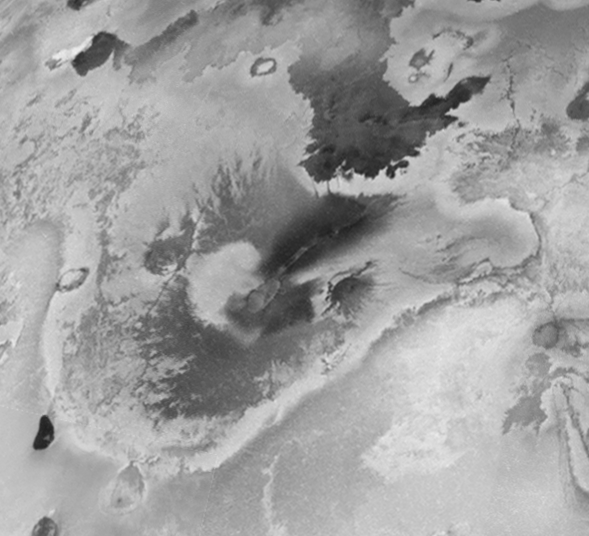 The "tail" of Isum extends to the northeast from the northern end of Isum Patera. The tail measures 184 kilometers (114 miles) long and 11 kilometers (7 miles) wide. 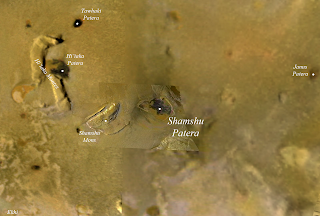 The floor of Isum Patera is generally dark green in color, similar to Chaac Patera, suggestive of chemically-altered basaltic lava, though a few spots along the tail of Isum Patera are much darker, more indicative of recent activity. Isum lies at the center of a multi-colored region along the northern margin of Colchis Regio on Io's anti-Jupiter and trailing hemispheres. 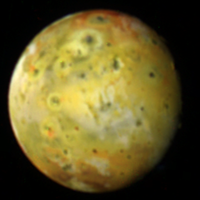 The background color of the area is reddish-brown, typical for Io's plains at this latitude, but it might be enhanced by sulfur deposits from activity at Isum. 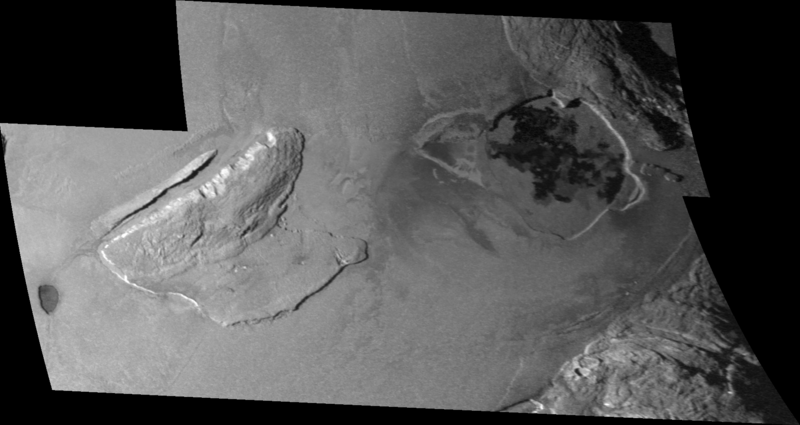 Green deposits dominate the terrain to the south and east of the head of Isum Patera, as well as on either side of its tail. 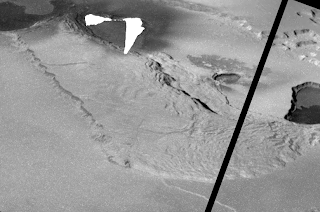 The margins of these deposits are digitate, or finger-like, which is more suggestive of a pyroclasic deposit that a lava flow field, which typically have lobate margins (see Lei-Kung Fluctus to the north of Isum in the image at left, for example). 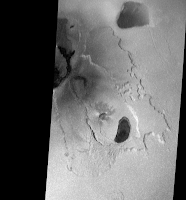 The most intense of these dark pyroclastic deposits surround the tail of Isum Patera. Their lack of chemical alteration that results from the interaction between sulfur and the iron in the pyroclastic material suggests they were laid down most recently. More likely though, they are being covered by fresh material on a regular basis, as their dark albedo has been a constant since the Voyager encounters in 1979. 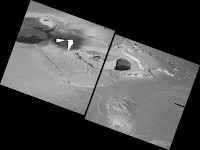 Volcanic activity has been detected at Isum Patera over a period of 31 years, since it was first observed in 1979 to as recently an adaptive optics observations at Keck Telescope on June 28, 2010. 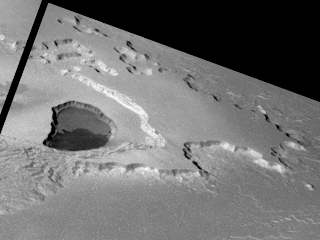 The first detection of a thermal hotspot at Isum, indicative of on-going volcanic activity, came from the IRIS (Infrared Radiometer, Interferometer, and Spectrometer) instrument on Voyager 1. 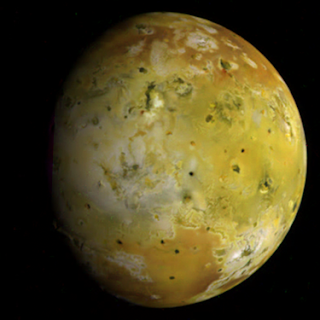 It was detected again as a group of hotspots by Galileo's SSI camera when Io was in the shadow of Jupiter in June 1996, June 1997, and November 1997, every time the geometry was appropriate during one of the spacecraft's eclipse observations. In each case two or three hotspots were detected: at the head of Isum Patera, in the tail, and in the southern portion of Lei-Kung Fluctus. Galileo's Near-Infrared Mapping Spectrometer (NIMS) also detected a thermal hotspot at Isum Patera during every viewing opportunity during the Galileo Nominal Mission, between September 1996 and September 1997. It was also seen at high resolution by NIMS in August 2001 (show at right) during a flyby of Io. NIMS found a line of thermal emission within the middle portions of Isum's tail section. The intensity of the emission was so great that the NIMS detectors saturated at most of the wavelengths the instrument looked at except the shortest (1.313 and 1.593 μm). 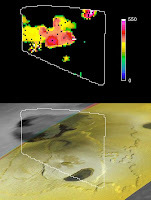 This suggests that both high-temperature volcanism and that large percentages of each pixel that covered the tail region were hot at the time of the observation. 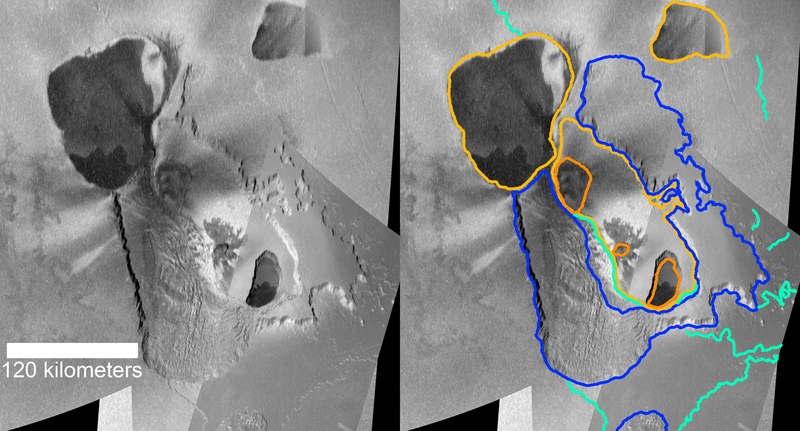 Taken all together, what does the morphology of Isum Patera and its surrounding terrain and its history of persistent, high temperature volcanism with multiple hotspots tell us about the style of volcanic activity going on at Isum? The distribution of dark pyroclastic material external to Isum and bright and dark patera within the tail region are most similar to Pele, a persistently and vigorously active lava lake. The thermal emission history is also roughly similar. 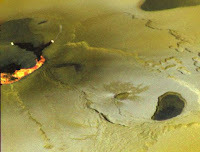 In this case, the tail of Isum is a large lava lake whose crust is continuously overturned due to fresh material being brought into the lake from below. 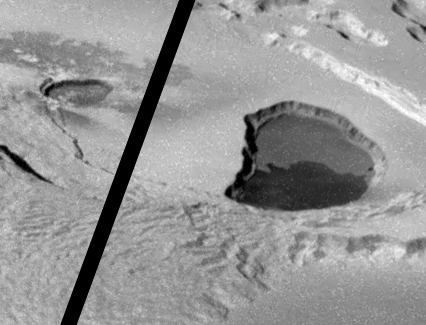 This overturning, which can involve short lasting lava fountains, also permit the release of sulfurous gases and pyroclastic material. This latter material can then be laid down as dark deposits on either side of Isum's tail. 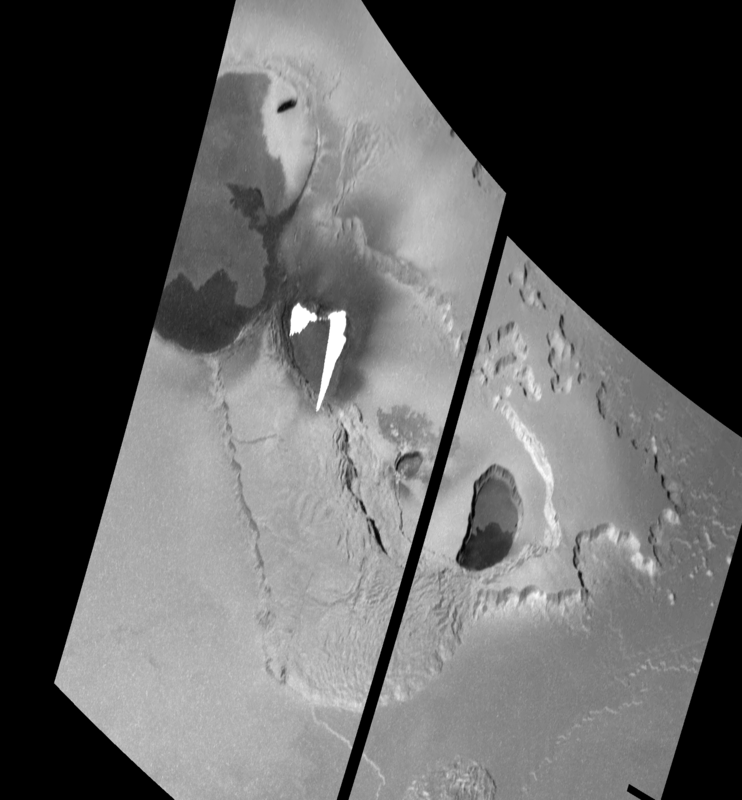 The tail of Isum Patera may be a fissure that has opened up in Io's crust, allow magma to reach the surface and resupply the lava lake at Isum. This magma could have also formed a sill at one end of the fissure, which was then later unroofed to form Isum Patera proper. 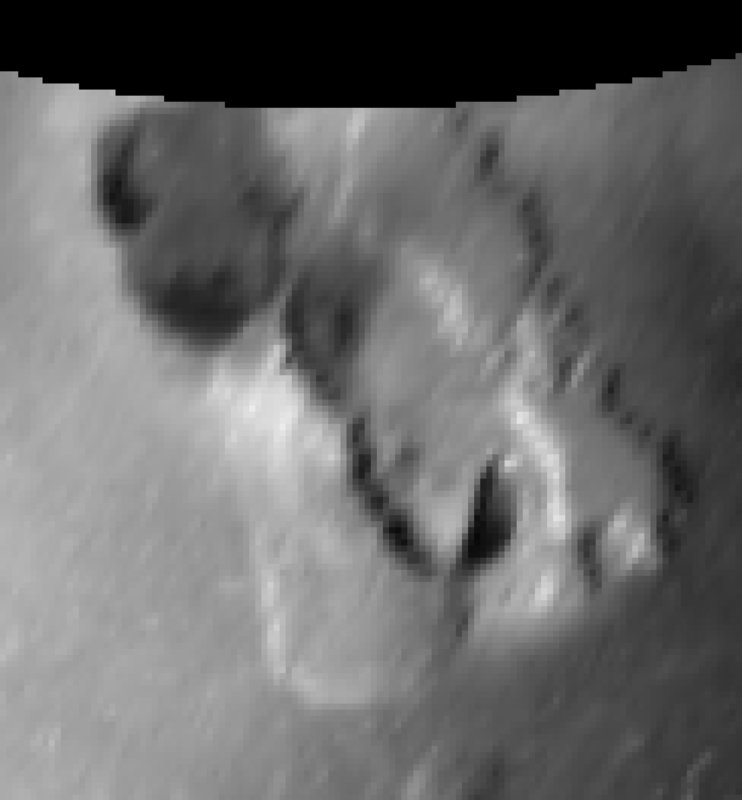 Another patera may also be located at the northeast end of the fissure, but it isn't clear. However, some of the evidence can be deceiving. 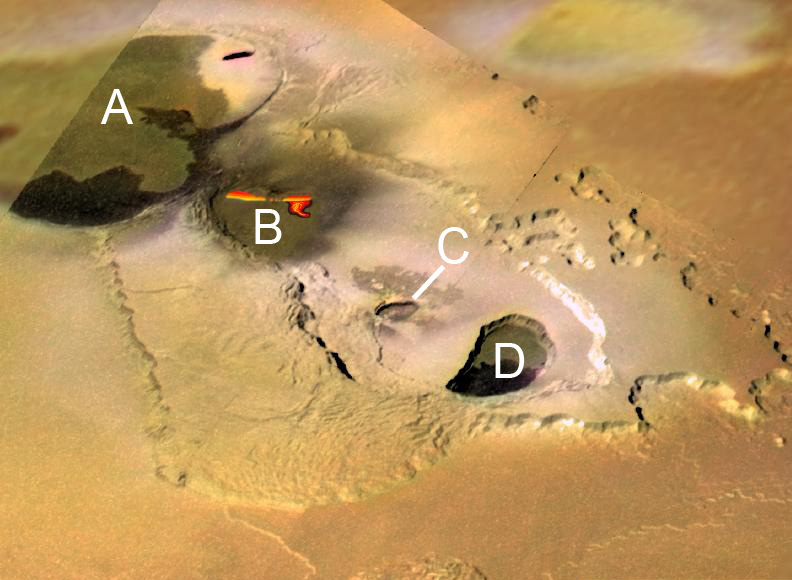 The global scale images from Galileo that are available of this volcano reveal a curved dark line connecting the northern end of Isum Patera to the southern end of the massive Lei-Kung Fluctus, a large compound lava flow field more than 125,000 sq. km (48,000 sq. mi.) in size. 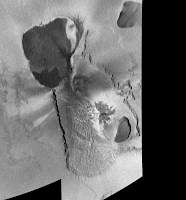 We know from SSI and PPR measurements from the Galileo spacecraft that at least the southern end of it was still active as of 2002. 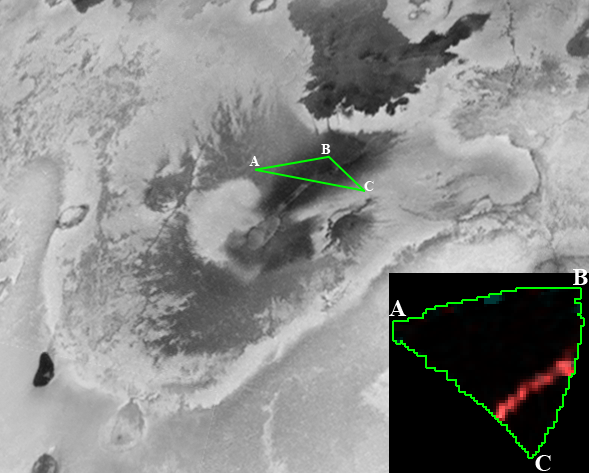 A similar relationship between an active patera and a nearby active lava flow field, with a curved dark line between the two, has been noted at other Ionian volcanoes, most importantly at Amirani. 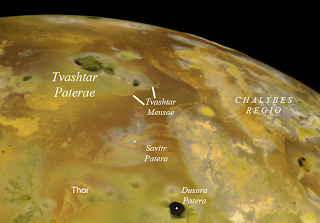 This suggests that Isum Patera may be the source of the largest lava flow field on Io. In this case, the dark curved line is a lava tube that channels lava from its source in the tail of Isum Patera north to active flow lobes across Lei-Kung Fluctus. 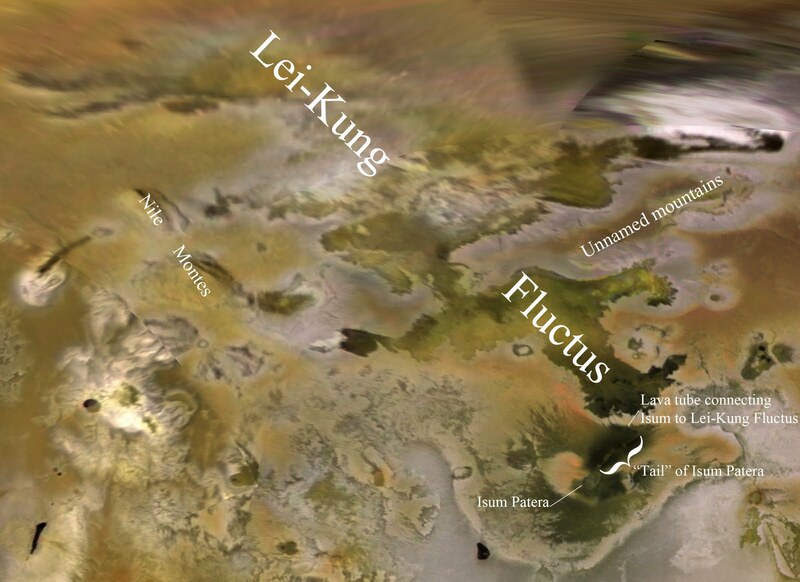 I should point out that that given the huge extent of Lei-Kung, multiple sources can't be ruled out, and given the pattern of thermal emission seen by Galileo's Photopolarimeter-Radiometer (PPR), that's probably likely. Today, we have looked at one of the most persistently active volcanoes on Io, Isum Patera. 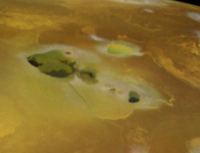 Isum has a rather unique shape for an Ionian volcano. 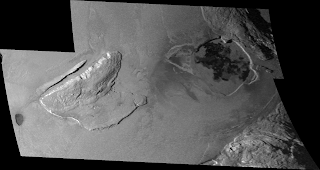 Regardless, it is the site of rigorous but consistent activity that is suggestive of a large lava lake within the tail end of Isum Patera. That doesn't preclude the possibility that Isum is also the source (or one of the sources anyway) of Lei-Kung Fluctus, which may act as a kind of release valve for the lava lake, where the overflow from the lake is deposited. This article is making up for the one I intended to write last Monday so I still need to catch up. Later this week we'll look at Maasaw Patera, a small volcano seen up close by Voyager 1. Radebaugh, J. (2005). 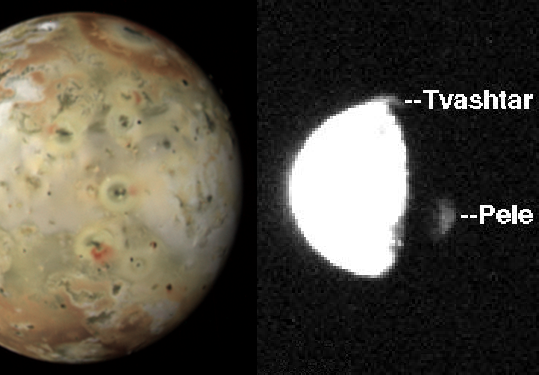 "Formation and Evolution of Paterae on Jupiter's Moon Io". Ph.D. Dissertation. University of Arizona. 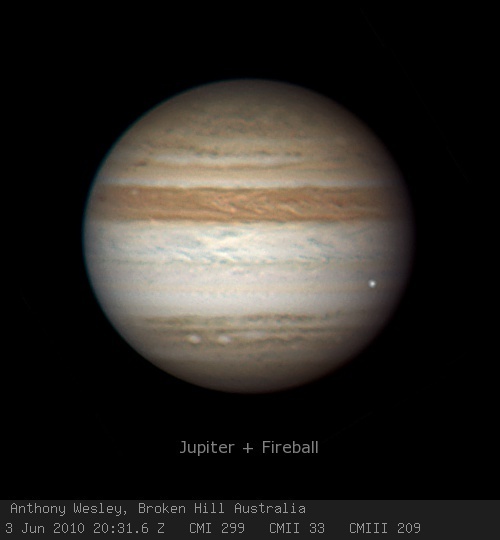 A paper was published today online in the Astrophysical Journal Letters on the June 3 fireball on Jupiter. The impact produced a bright flash that was seen all the way from Earth by two amateur astronomers: Christopher Go in Cebu, Philippines and Anthony Wesley in Murrumbateman, Australia. We discussed the impact at the time as not one but two detections of this impact were confirmed. This new paper is titled, "First Earth-based Detection of a Superbolide on Jupiter," by Ricardo Hueso, several co-authors include astronomers who observed the site using Hubble, Keck, and other large telescopes, and the two amateur astronomers who detected the impact. 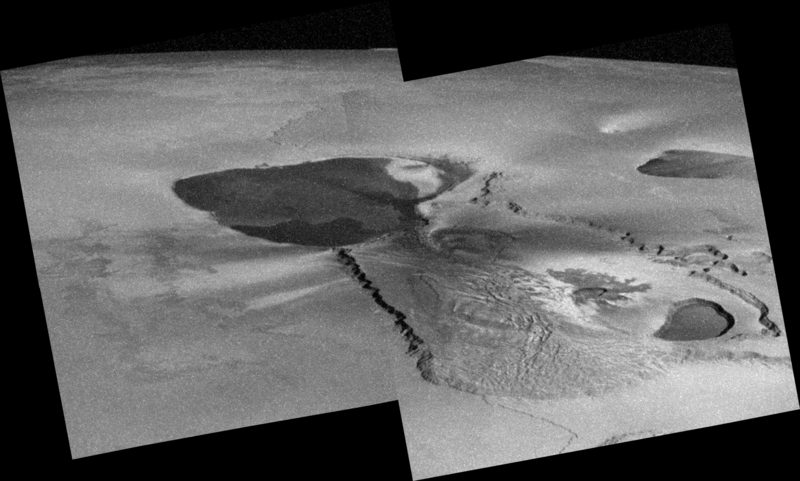 The paper discusses the circumstances of the observations of this impact, measurements of the energy released and consequently the size of the impactor, and observations by Hubble and other telescopes of the site in the days following the June 3, 2010 impact. Prior to June 3, 2010, only a few extraterrestrial impacts or meteors had been directly observed. 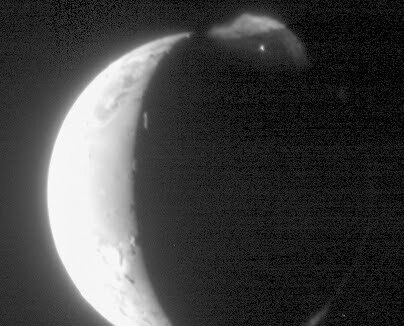 These included small flashes on the nightside of the Moon, a meteor streak across the Martian night sky by the rover Spirit, the faint flash that Voyager 1 saw in Jupiter's atmosphere, and the Shoemaker-Levy 9 impacts in 1994. 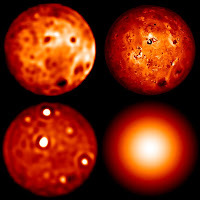 Since June 3, two flashes have been seen in Jupiter's atmosphere, the impact on June 3 that is the subject of this paper and another on August 20 that was observed by several astronomers in Japan. 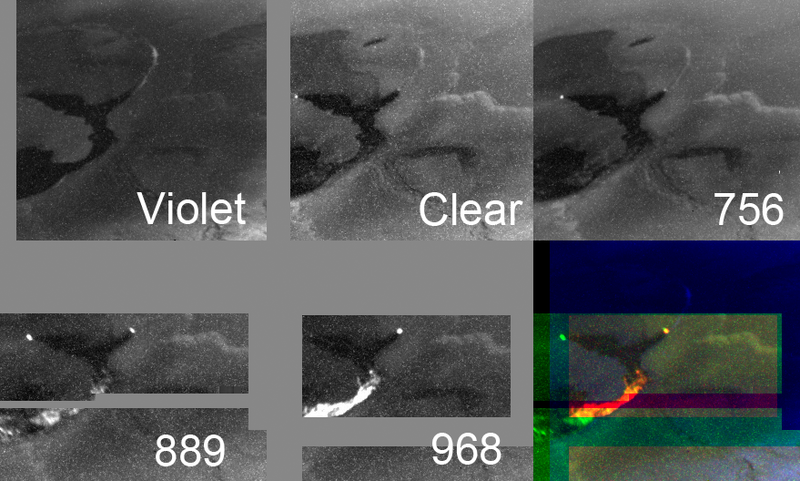 These impacts produced a brief, bright 2-second flash in Jupiter's atmosphere. 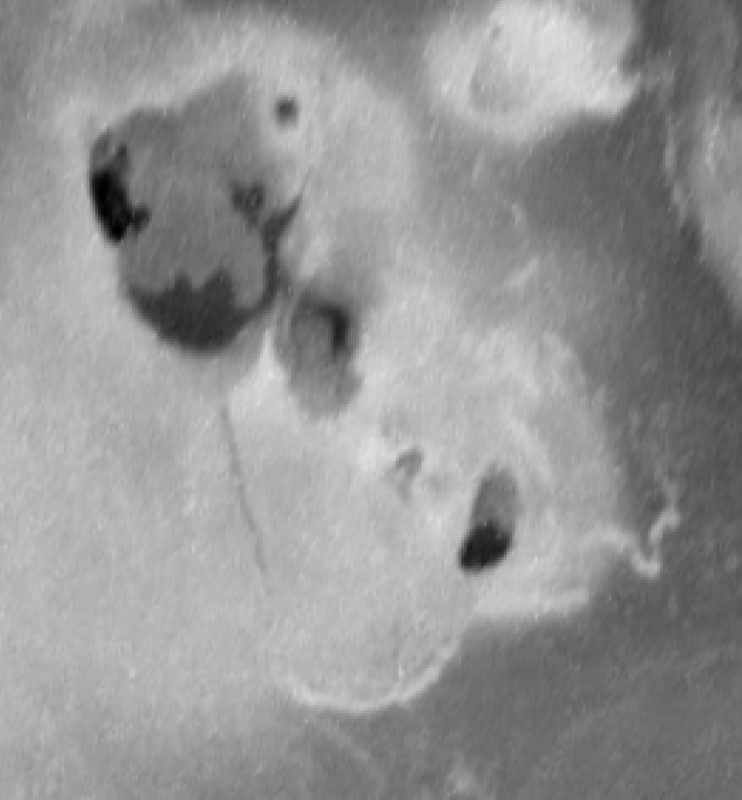 Subsequent observations failed to find the kind of visible scars that had resulted from the larger SL-9 impacts in 1994 and an asteroid impact in 2009. The discoveries this year by Wesley, Go, and the astronomers in Japan were aided by their use of webcam technology to record their observations of Jupiter. They sum multiple frames from the videos they record to produce spectacular color images of Jupiter and other planetary targets by reducing the signal-to-noise ratio of their data. These videos also allow for the detection of transient events like meteor fireballs that might otherwise go unnoticed or unconfirmed with additional observations. In this new paper, Hueso et al. used the two videos taken by Wesley and Go to measure lightcurves of the June 3 fireball. By measuring how bright the bolide was compared to the brightness of the area before and after the impact, and by calibrating the photometric response of the filters and camera systems used, the authors were able to estimate the amount of energy released by the meteor. They estimated that the bolide released 1.0–4.0× 1015 Joules, or the equivalent of 0.25–1.0 megatons. This is about 5-50 times less energy than the June 30, 1908 Tunguska airburst, which flattened 2,150 square kilometers (830 sq mi) of forest in Siberia. Bolides with the energy of the June 3 event occur ever 6–15 years on Earth. 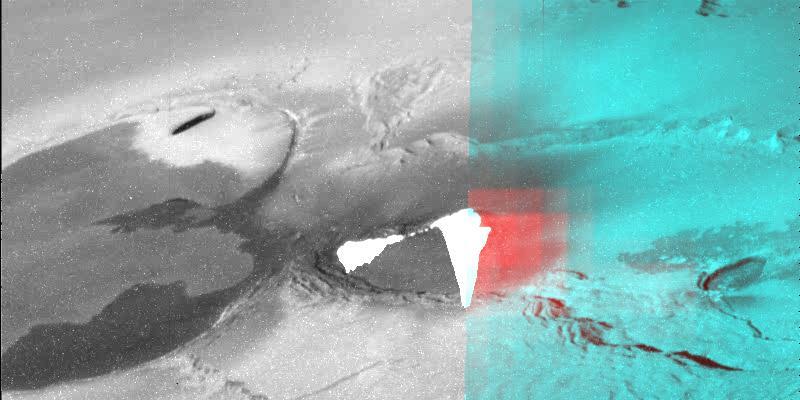 Assuming an impact velocity of 60 kilometers (37 miles) per second and a density of 2000 kg per meter, Hueso estimated that the impactor had a mass of 500–2000 tons and was 8–13 meters (26–43 feet) across. This fits nicely within a gap in our knowledge of Jovian impactors, as the July 2009 asteroid had a mass that was 105 times larger while the meteor that caused the flash seen by Voyager 1 was 105 times smaller. 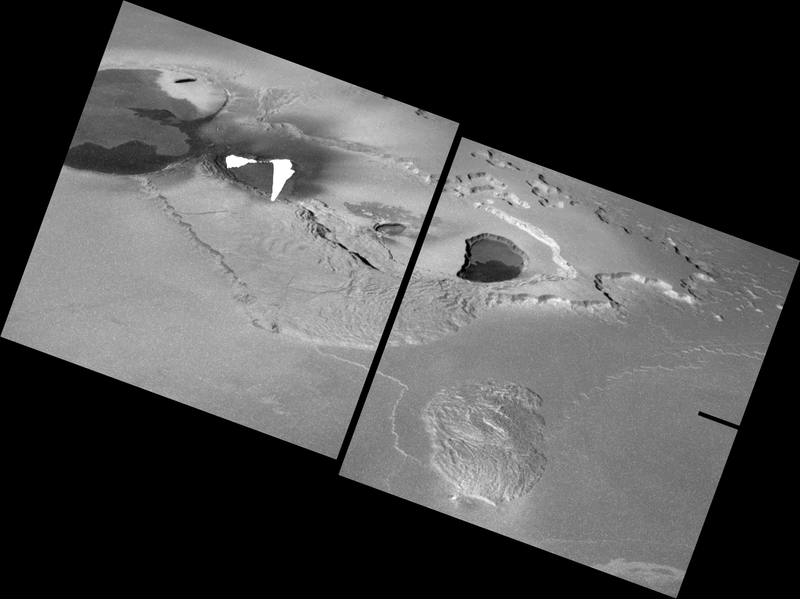 According to the NASA press release, the August 20 impactor was on the same scale, though that event occurred a month after this paper was submitted. Analysis of the bolide's optical flash reveals a number of characteristics that are similar to meteors here on Earth. The lightcurve of the event, which was visible for 1.5 seconds, is asymmetric as the event slowly brightened for one second, produced a bright central flash, then quickly faded. 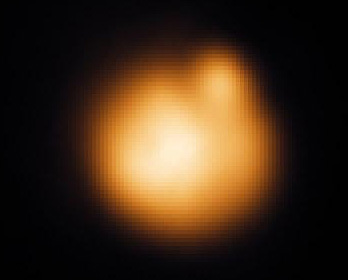 Analysis of both the blue filter data taken by Christopher Go and red filter data taken by Anthony Wesley also showed that the flash had three distinct peaks, again similar to bolides on Earth. Anyway, the big result from this paper was the note that observations of Jovian bolides could help place constraints on the impactor (asteroids and comets) flux in the Jupiter system. Using similar systems as Go and Wesley, Jovian events five times less luminous than the June 3 impact should be detectable as well as events that involving slightly larger impactors on Saturn. Based on the impacts seen this year, it would appear that models predicting 30-100 collisions of this magnitude on Jupiter, like the dynamical model by Levison et al. 2000, maybe more accurate than those extrapolating from crater counts on the Galilean satellites. However, as always, more data is need. More than two data points will be needed to pin the impactor flux down. For more details, definitely check out the original paper by Hueso et al. 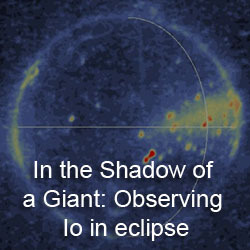 over on the European Southern Observatory website from their press release. The Huffington Post has an interview up on their site with Cynthia Phillips, who performed Io image processing during the Galileo mission. 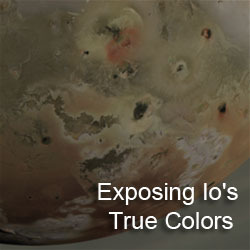 During the interview, she describes her work on reducing the effects of scattered light in Galileo images, which should improve color fidelity. 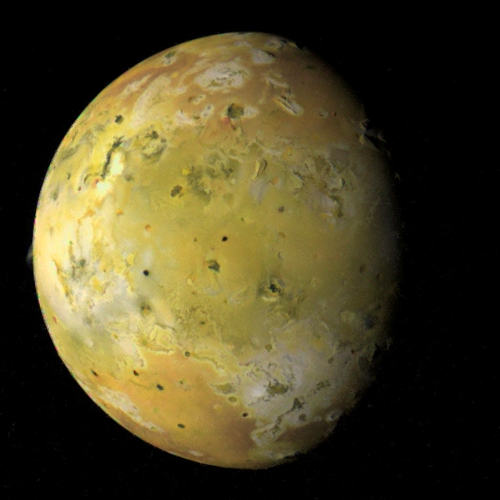 Coming soon, a video game set on Io.